Mounted on the dashboard of his patrol car, with its lens pointing forward through the windshield, a motion-picture camera belonging to Officer R. H. Galbraith of the California Highway Patrol takes photographs of the automobiles he trails along the highways, making a permanent film record of any traffic violations for possible later use in court. 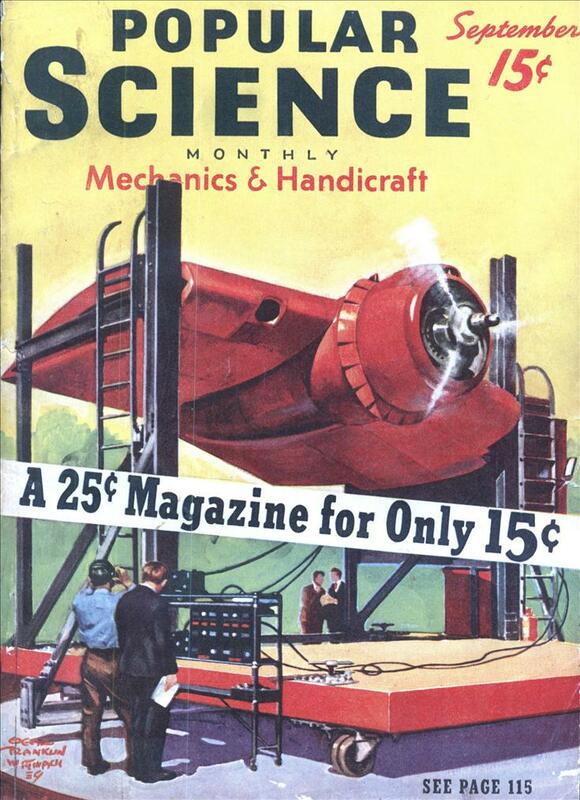 I wonder if in 1939 they knew that this idea would make possible “America’s Dumbest Car Chases”? 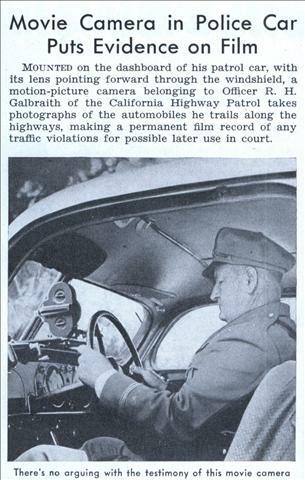 September 1939: First video camera installed in a police car. October 1939: First tape of unethical behavior by an officer is ‘lost’. Sean, I can’t believe it took a month. …. to be a real “stickler” It is a film camera, not a video camera. I know people use “filming” now for video cameras but it drives me crazy, film is a chemical process, video is an electronic process.